Today is the very last day of our event! I hope you have all garnered some new and helpful information! To wrap my posts up, I want to leave you with a list of superfoods you should try and get into your lunchbox as often as possible! Some of you may not have even heard of some of these things, but I encourage you to spread your wings and horizons and nourish your body well. Make the quality of your food comparable to the Rolls Royce and avoid the Pintos. Some foods will actually do something for your body, while others will actually hurt it. Chia Seeds: If you only try one new food from this list, this should be it! Chia seeds are nature’s perfect little seed. I know, I know, is this the same thing as a Chia Pet?!! It is…but these seeds pack powerful punch: High in omega 3 fatty acids, antioxidants, fiber, calcium, phosphorus, magnesium, manganese, copper, iron, molybdenum, niacin, and zinc. It also has good gelling qualities that help slow the absorption of carbs, and help cleanse the bowels. Chia seeds have a very mild to non-existent flavor and can be added into baked goods, yogurt, or any liquid. Some people just eat a couple of spoonfuls and go about their merry way! Here is more info. Nuts & Seeds , whole or butters: Touted to boost brain power and mood, these are loaded with healthy fats, protein, and other nutrients. Coconut: Think oil, butter, milk, or dried & unsweetened. Coconut is loaded with fats that are easily digested by the body and converted into great energy. Coconut oil is easy to find now, I get mine at Trader Joe’s or Whole Foods. Fresh Fruit & Veggies: We could all use more of these!! The darker and brighter the color, the better! Eat like a rainbow, it won’t steer you wrong! Whole Grain Flours: Teff flour is my favorite. It has a mild nutty flavor that most people love. Refer to my GF Flour Nutritional Comparison chart to decide which flours to use MORE of and which to use less of! Food Dyes: Although many are banned in Europe, they are still FDA approved here. Many dyes have been proven to have dramatic effects on negative behavior and attention in some children. If it is made in a science lab, good rule of thumb is to avoid them and not put an experiment in your body! White starches w/ no fiber(white flour, tapicoa, corn, arrowroot, potato, white rice, sweet rice): These are fillers and straight carbs…if it all white, it means it is all starch and no fiber = no nutrition for your body. Think empty calories. And these carbs are processed very quickly in your body (fiber and fat slow down the digestion), spiking blood sugars. Sweetened beverages: soda, juice, and CHOCOLATE MILK! These beverages carry as much sugar as candy bars (20 gram for chocolate, 27 for strawberry)and have almost no redeeming qualities. Try to eliminate these from your family’s diet and stick to water and unsweetened milks. Artificial Sweeteners (aspartame, sucralose, saccharin are the biggies): Again, FDA approved, but these were created in a SCIENCE lab and have only been proven safe by the companies that make them (wow, there’s a shock!). Independent studies testing the safety of these ‘sugars’ overwhelmingly have big concerns. What a great list of ideas, Tessa!! And I love adding chia seeds to my kids pb and j sandwiches (actually we use sunflower seed butter since ours is a nut free school). But I always put about 2 tsp of ground chia seeds on each of their sandwiches! Such a fun event! Chia can be snuck in so many places since it has such a neutral flavor…good idea on the sandwich…will have to try that Kim! I started mixing my own flour blends specifically so that I could add more whole grains. I buy whatever is on sale, right now I have sorghum and buckwheat flour. I also always have corn flour on hand. LOVE Bob’s Red Mill products! They are all I use now! these are great lists…and yay more things to try! You really outdid yourself! I enjoyed everything you discussed, suggested and shared. Great, great job friend. Now…time to rest!!!! 🙂 Enjoy your weekend. yummy gluten free! love to try this stuff! 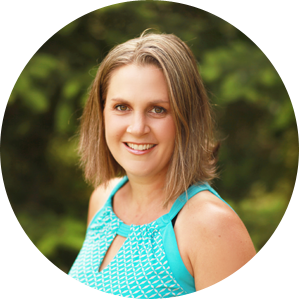 Welcome Maria…it’ great to have lots of resources, and I am glad you found me! I have been using chia seed for several years now. I really like what it does for my bread. I just started using the coconut oil though. Great advice, both for what to eat and what not to eat. I am still early in this lifestyle change and need all the good advice I can get! 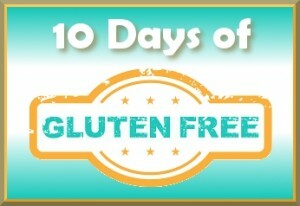 This “10 Days of Gluten Free” has been a great learning experience for me! thanks for the tips. I’ve never had chia seeds before, I chould check them out! Chia seeds, huh? We’ll have to give them a try! Thanks for all the great posts! I’ve loved all of your tips in this series! Thanks so much! Thank you Shari…I am so glad!!! Thanks for contributing to the 10 days of Gluten Free. Great lunchbox ideas! It’s better to eat more healthfully, especially when you’ve got ailments due to food allergies or intolerances.